Making Waves Behind Bars – book out now! The brief history of the Prison Radio Association has been turned into a book by Dr Charlotte Bedford – and you can buy a copy just in time for Christmas. 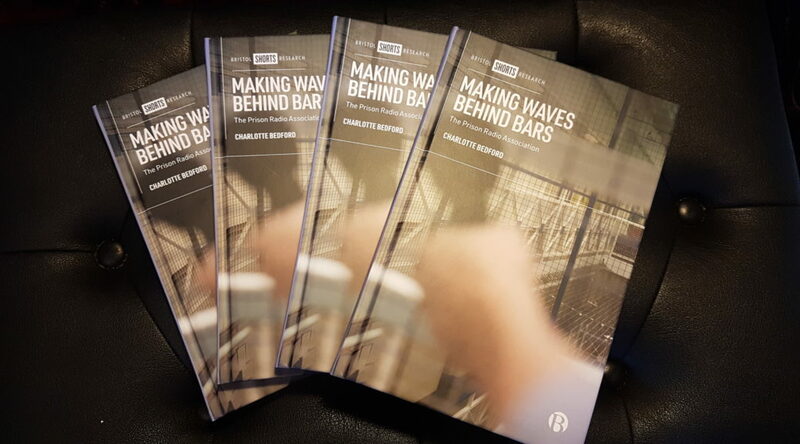 Making Waves Behind Bars is out now, published by Bristol University Press. The story of National Prison Radio demonstrates the unique power of radio to achieve genuine transformation, both among the people who produce it but also among the listening audience. Prison radio tells hidden stories, and use them to help the listening audience find solutions for often complex and difficult situations. Making Waves Behind Bars charts the medium’s fascinating development, from its beginnings as a response to a catastrophic series of violent incidents in Feltham Young Offenders Institution in the 1990s through to the development of a national broadcast platform that is challenging notions of public service broadcasting for audiences with a genuine need. Dr Charlotte Bedford is a world authority on the use of media to affect social change. Her work focuses on alternative media, and she has over 25 years of experience developing media projects alongside socially excluded communities. Her book pulls together the story of the Prison Radio Association in a single volume. “Radio produced and broadcast behind prison walls is redefining traditional meanings of ‘public service broadcasting’ and disrupting traditional power structures within the prison system. “Focusing on one of the most interesting developments in UK prisons over the past 10 years, this book examines the early history of the Prison Radio Association and the formation of the first national radio station for prisoners. Dr Bedford is a Visiting Research Fellow at the University of Adelaide in Australia and specialises in radio and social change. You can buy your copy of the book from the Bristol University Press website.